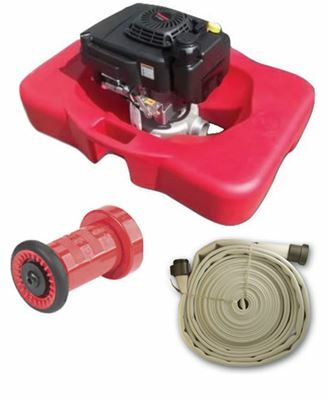 The Portable Fire Pump Cart and Hose Packages are perfect for defending your home from a wildfire with the water from your backyard swimming pool. 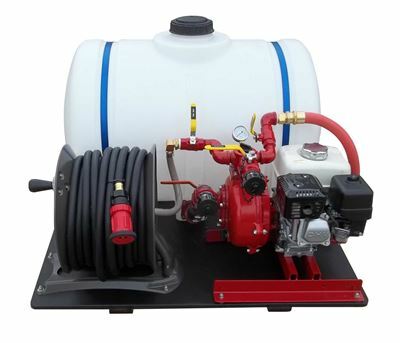 This system features high quality components, while still being one of the most economical fire pump systems on the market. 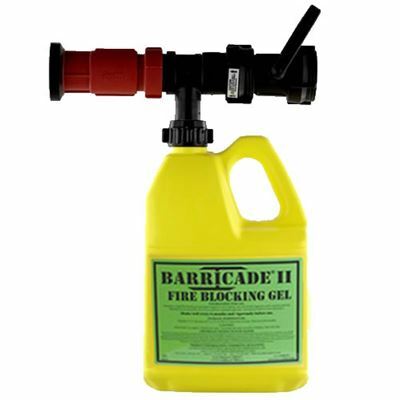 It has been used by homeowners defending their homes from wildfires in California, Colorado, Texas, and Florida. 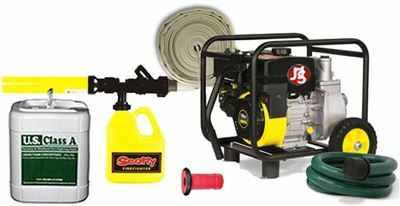 Be sure to check out our Floating Fire Pump Packages which are absolutely the best choice on the market for HomeFirefighting. 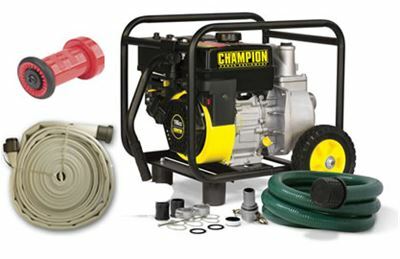 We recently added a Giant Soaker Hose Rooftop Sprinkler Package which is also a great choice. 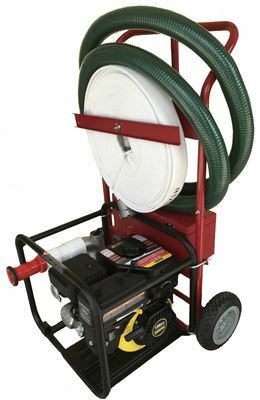 Package comes complete with the 5.5 HP gas fire pump, 100 feet of fire hose, 5 Gallon container of Class A Foam, Class A Foam Eductor Nozzle, suction hose, all fittings already assembled, and deluxe wheel and handle system for easy portability and storage. 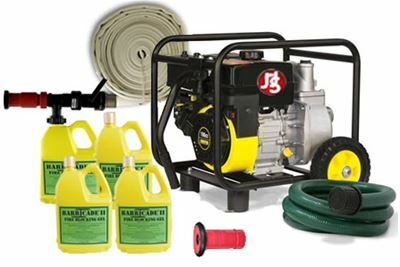 Package comes complete with the 5.5 HP gas fire pump, 100 feet of fire hose, Case of Barricade Fire Gel, Barricade Fire Gel Eductor Nozzle, suction hose, all fittings already assembled, and deluxe wheel and handle system for easy portability and storage. According to a recent Home Builder's Guide to Construction in Wildfire Zones released by FEMA: "The purpose of an exterior fire sprinkler system is to saturate the exterior of the building. 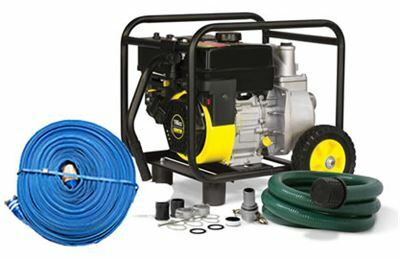 Exterior sprinkler systems can be installed during new construction or on existing buildings. 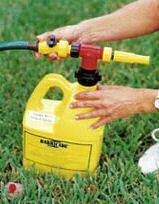 Some landscape sprinklers are designed and installed to provide protection from a wildfire to landscape areas immediately surrounding a building." 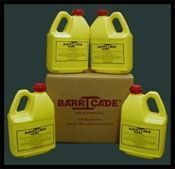 **Extra 100 ft replacement sections of this giant soaker hose are also available.